with March Madness in full swing, the talk surrounding the NBA is who will be some of the top picks in the upcoming draft. Among the names at the top include Zion Williamson, R.J. Barrett and Ja Morant. With the New York Knicks and Phoenix Suns at the top of the odds for getting that No. 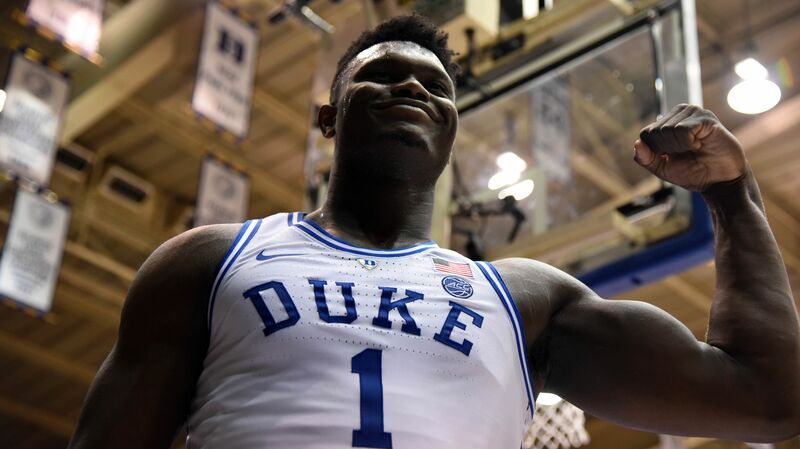 1 pick in the NBA Draft this summer, the consensus is that Zion will be first picked. On ESPN’s The Jump, some news was dropped about Williamson and where he actually wants to play in the league. According to Tracy McGrady, chatter around Zion is that he doesn’t want to play for a big market team. He went on to suggest that if the Knicks get the top pick, they should trade it to New Orleans for Anthony Davis. It is interesting T-Mac said that, especially since the New York Post caught Williamson saying the exact opposite about a big-market team. Either way, the Zion sweepstakes will be entertaining to keep an eye on as the summer is near. Who do you think will land him? Which team best fits his style of play?